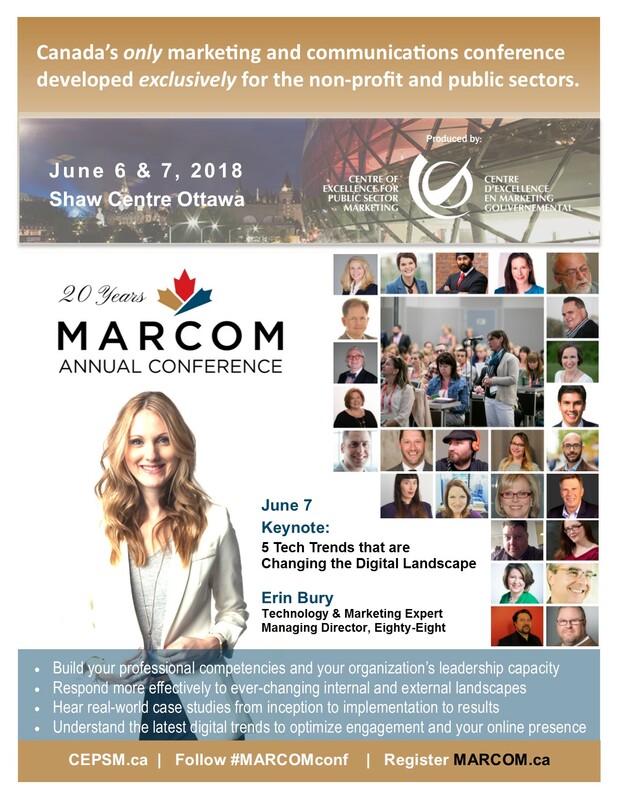 Don’t miss the only opportunity you’ll have to attend MARCOM Annual Conference, in the heart of downtown Ottawa at the Shaw Centre, on June 6 & 7, 2018. The program is developed exclusively for those working in nonprofit and public sector marketing and communications environments. Download your own copy of the brochure and don’t forget to share it with your colleagues. Plan your stay and Register early! « Time to stop pointing fingers at Facebook and take some responsibility ourselves.